В рамках презентації виставки “CERN in Images”, що відкривається у Києві 20 листопада професор Крістоф Шефер прочитає лекцію на тему “Higgs Hunting – Discovery of the Quantum Universe”. Прослухати лекцію можуть усі охочі! регіонах Південного Кавказу та Центральної Азії. 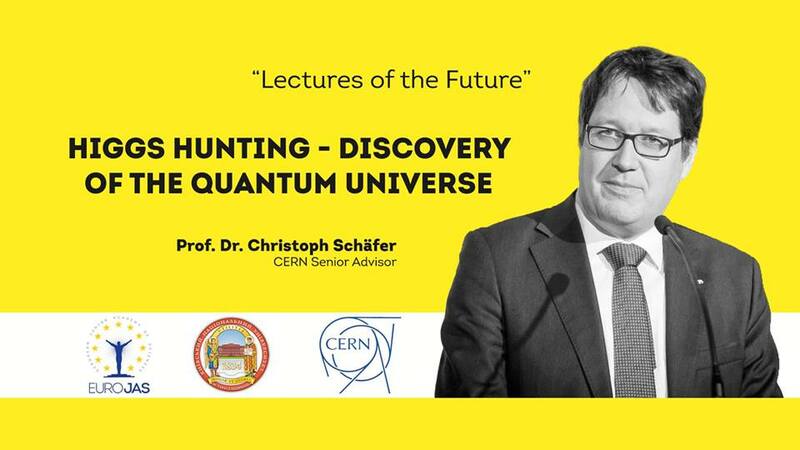 This lecture will be about CERN as an organisation and a general introduction of the Higgs boson concept and it’s discovery. Do you know that CERN (European Organization for Nuclear Research, Switzerland) is not only the particle accelerator, operating the Large Hadron Collider (LHC) tunnel, the place where the Big Bang theory is explored? CERN is also the birthplace of the World Wide Web and one of the largest data processing facilities for experimental-data analysis. CERN has become a facility for the development of grid computing, hosting projects including the Enabling Grids for E-sciencE (EGEE) and LHC Computing Grid.